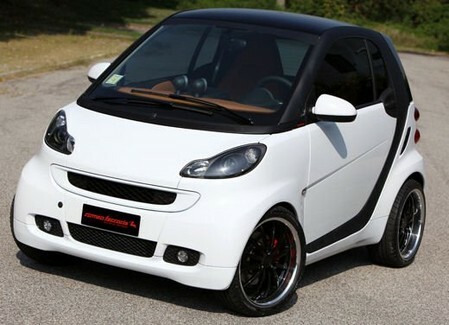 The Italian tuner Romeo Ferraris has a special package for the little German-French Smart ForTwo. For the body they offer any color you can imagine, or even can wrap it up in unique films in either matte or textured finish. It also features smoked lights and black 17-inch wheels for a mean and aggressive style. Romeo also has different power upgrade packages for both petrol and diesel engines adding a minimum 20 hp to the output through ECU remap and sport exhaust systems.